Greetings, fellow gamers! Here’s a quick look at three games that have quite the buzz here at the shop! 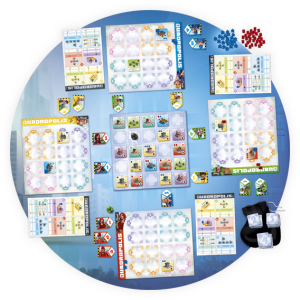 90 minutes per session (a save system is included in the box, allowing you to play a scenario over multiple sessions). 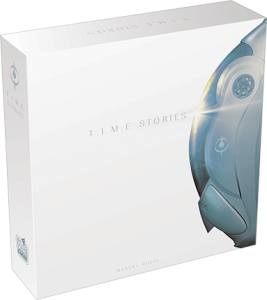 It has been a grueling training regiment at the Academy, but you’re finally ready for your first mission as a full-fledged T.I.M.E. agent. You and your team will travel back (or forward) in time to prevent some cataclysmic event. But don’t waste a moment…every second counts! In T.I.M.E. 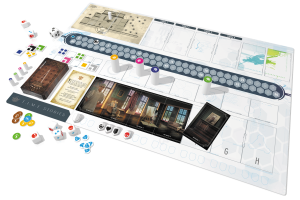 Stories, you will work cooperatively with a team to solve a mystery taking place in a different era. Each team member will enter a shell of someone alive at the time and gain their physical strengths and weaknesses. If you can’t complete the adventure in time you’ll be sent back to the start of the mission for another attempt. 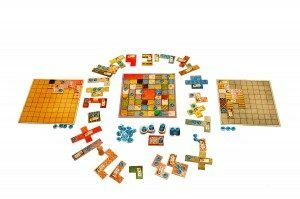 From Uwe Rosenberg (Caverna) comes Patchwork, a two-player game where players compete to craft the most ornate patchwork quilt while also achieving the highest score. 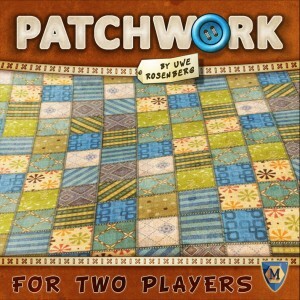 Beginning with a 9×9 game board, players use patches, some of which include buttons which earn victory points, to embroider their quilt. You have been commissioned to construct a city, more populous and prestigious than any of your neighbors! 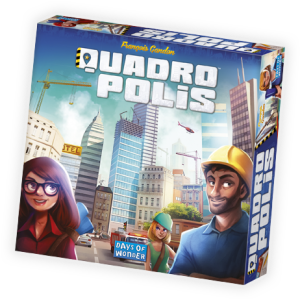 A clever game of building and managing a city for two to four budding architects, players in Quadropolis dispatch architects to claim building tiles from the market. But, which architect you dispatch determines what building you get and where you can place it. Will you build towering apartments, bustling malls filled with people, parks to reduce waste, or factories to supply your shops and harbors?